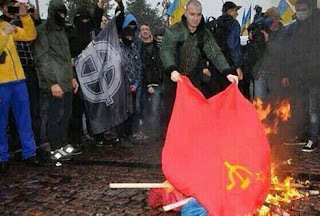 On the 29th of June, the CP of Ukraine organized a meeting on the margins of the Summit of the Human Rights’ Council of the UN against anti-communism, the persecution at the expense of the CPU and the attempts to rehabilitate Nazism and its supporters in Ukraine. 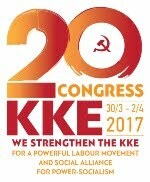 The KKE was invited to this meeting and its representative, Vangelis Katsiavas, cadre of the KKE’s delegation in the European Parliament, made an intervention as did the President of the CP Ukraine, Pyotr Simonenko and a representative of the International Association of Democratic Lawyers. “INTERVENTION AT THE EVENT ON THE "GLORIFICATION OF NAZISM"
We would like to thank you greatly for the invitation to this exceptionally interesting discussion. In the recent period we have been facing a coordinate effort in Europe to support and reinforce nationalist, racist forces, far-right groups and openly fascist parties, such as, for example, the criminal-Nazi organization "Golden Dawn" in Greece and similar organizations in France, Britain, Austria, Hungary, Ukraine etc. This rise is not only due to the grave consequences of the burdens thrust on the working class and poor popular strata by the capitalists so that they can overcome the capitalist crisis in the EU or to the sharpening of the refugee drama caused by the wars of the imperialists. The other half of the truth that the apologists of capitalism are trying to conceal is that the fascist, racist parties enjoy the multifaceted support of the EU, bourgeois governments and sections of capital in various countries. 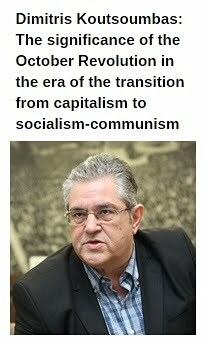 Anti-communism is the official ideology of the EU, spearheaded by the equation of communism with the fascist monster, the attempts to rewrite and falsify history that was written by the peoples with their blood and struggles, with the communists and the world's first socialist state, the Soviet Union, in the front line. From the anti-communist memorandum of the Council of Europe in 2005 to the motion of the European Parliament in 2009 about "European Consciousness and Totalitarianism", the proclamation by the EU of the 23rd of August as a "day of memory for the victims of Nazism and Stalinism", the attempt to transform the 9th of May from being a day to celebrate Anti-fascist Victory of the Peoples into a "day of Europe", i.e. of the EU, and all the other anti-communist statements and decisions of the EU, we are facing a provocative falsification of historical truth. A project that is being funded with hundreds of millions of Euros from the EU budget, such as the creation of the "House of History", which is expected to start functioning next year or the programme "Europe for the citizens", which is mainly targeted at schools, school-students, local government institutions, NGOs. 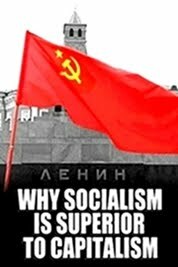 Both plans target the consciousness of the youth so that they are systematically poisoned with anti-communism, slanders against the countries where socialism was constructed, excuses for or the whitewashing of the Nazi-fascist crimes. For example, the recent organized efforts-which were even promoted at the well-known song contest- to glorify Tatars that collaborated with the Nazis and slander the period when the Soviet state was headed by Stalin, cannot go unnoticed. They target the past but chiefly the future so that communist ideology and activity are stigmatized, as precursor for an overall onslaught against the labour-people's movement, so that they can manipulate and control the consciousness of the younger generations. 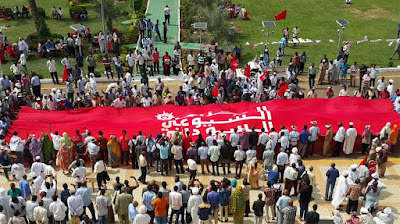 In the countries that experienced socialism, the workers who today are face to face with the savage anti-people policies of the exploitative capitalist system are seriously reflecting and comparing their rights and gains in both systems. 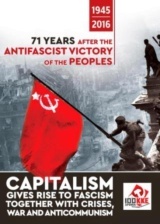 A second and serious aspect of the anti-communist campaign of the EU is the justification of the criminal character of Nazism-fascism in the consciousness of the people, concealing the fact that fascism is the awful creation of the capitalist exploitation of man by man. Fascism was always the armed hand of the capitalists against the labour-people's movement and the communists, this remains true today. Historical experience has demonstrated that it is impossible to uproot fascism if capitalism itself is not uprooted, because fascism is capitalism's inhuman, awful and revolting form. Anti-communism, the persecutions against the CPs and the communists are always accompanied by savage anti-people measures, which today are being taken in all the EU member-states and go hand in hand with support for racist, nationalist and fascist parties. It is no accident that all the member-states of the EU in November 2015 abstained from the motion adopted at the General Assembly of the UN "against the glorification of Nazism, Neo-Nazism and other practices That Contribute to Fueling Contemporary Forms of Racism, Racial Discrimination, Xenophobia and Related Intolerance.” Indeed, we should note that the stance of abstention-in full convergence with all the other EU governments-was observed by the Greek government of SYRIZA-ANEL that has a "left" label. The same stance was observed by the previous ND-PASOK government on the last motion last year. Their argument that "they are concerned" that perhaps these measures will negatively affect the right to free speech and assembly is provocatively false. Laws have been passed in a number of EU countries that outlaw and criminalize the activity of communists, communist ideology and even the use of communist symbols. We did not seed in these instances any sensitivity on the part of SYRIZA or the other EU governments, or even more on the part of the EU. Quite the opposite. The EU and the other governments support and encourage the persecution against communists and CPs. Despite the dozens of questions tabled to the EU bodies by the Delegation of the KKE in the European Parliament in relation to the measures being taken in the various EU member-states against the communists, not one word has been said by them about this over this entire period. Lets only mention a most recent example: The EU Commission in its reply to the KKE's question on the criminal attacks of fascist gangs against the Secretary of the Union of Leninist Communist Youth of Ukraine and the First Secretary of the City Committee of Kiev and other cadres of the organization claimed that "The partnership agreement between the EU and Ukraine is based on common values, especially the full respect for democratic principles, the rule of law, solid governance, human rights and fundamental freedoms", at a moment when life itself has demonstrated that the specific agreement legitimized the systematic attacks and state repression and also ratified the existing anti-communist laws and the outlawing of the political activity of the communists after the trial-parody which decided on the banning of the CP of Ukraine last December. However, we should also look at the situation in a number of EU countries, especially those where capitalism was restored after the victory of the counterrevolution. Known fascists have ascended to positions in government. The revival of fascist parties and gangs is being financed at the same time that anti-communism is on the rise. 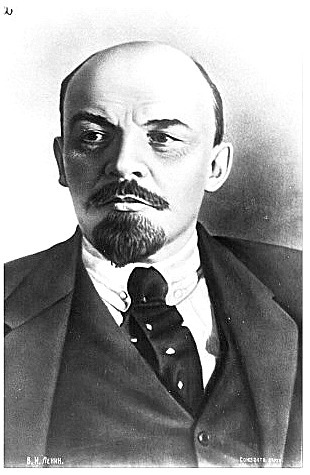 In the Baltic countries the bourgeois parties govern in coalition with those have nostalgia for fascism, communist symbols have been criminalized, and communist political activity is a criminal offense. The parliament in Latvia has officially rehabilitated the SS and provided pensions to its surviving members. In contrast, the armed resistance to the Nazis is considered a crime. Former partisans like 80 year old, Vasili Kononof, were brought before the courts on the charges that they killed Nazi collaborators during World War II! 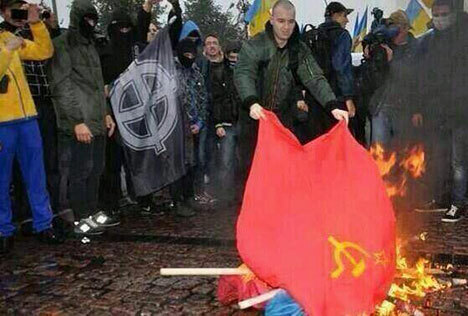 Thousands of war criminals and armed Nazi collaborators have been declared symbols of the "National Resistance"!I.e. those that in 1941-44 fought at the side of the Hitlerites, as foot soldiers of the Waffen SS, in the so-called "Auxiliary Police" (Schummo), the Estonian division of the SS, playing a leading role in the Nazi crimes: the burning of villages, mass executions of civilians, and chiefly the holocaust of Jews and Gypsies. Finally, hundreds of thousands of people in these countries who - either they themselves or their parents-moved to this region as workers in the framework of the Soviet Union have been characterized "non-indigenous" and are deprived of all political and basic social rights. There is a similar situation in other countries, in Poland, the Czech Republic, Slovakia, Romania etc, with multifaceted attempts to criminalize communism, even outlawing communist symbols. In Poland, for example, members and cadres of the CP of Poland were recently condemned to up to 9 months in prison, because the dissemination of their ideas via the newspaper and the website of the CP of Poland, with the rotten accusations about the "public promotion of a totalitarian system». It is no accident that this year's Summit Meeting of NATO is being held in July, focusing on, amongst other things, the installation of the anti-missile shield in Eastern-Central Europe, in combination with the upgrading of the presence of NATO's forces in the Aegean Sea and the Black Sea in competition with Russia. A final and very recent example for the European Parliament, where on the 14th of June, an exhibition was organized to honour the known Nazi Croatian Cardinal Alojzije Stepinac, a supporter of the Ustasha regime during the Nazi occupation of Yugoslavia, a war criminal condemned for his participation in pogroms against Serbs, Jews, Gypsies and other nationalities. The conclusions, we think, are obvious. 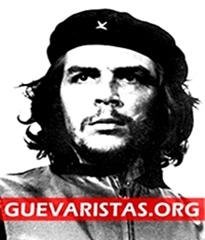 The EU, bourgeois classes and parties of bourgeois management play a leading role in anti-communism, the falsification of history, the persecutions against CPs and communists, the criminalization of their activity and communist ideology. 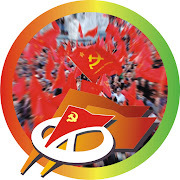 The opportunist parties also add grist to the mill of anti-communism, as well as the new-style social-democratic parties of the ELP, by identifying with the EU propaganda about "totalitarian regimes" and "Stalinist crimes". Anti-communism is sharpening as the onslaught of the EU's business groups becomes ever more savage against the working class and the popular strata with the aim of promoting their positions in their fierce monopoly competition with other imperialist centres and powerful capitalist states. The justification, whitewashing and exoneration of Nazism-fascism are an obvious consequence of the anti-communist campaign. This is fertile ground for the development of racist, fascist parties in all the EU member-states. It is not at all accidental that these parties are using the entire anti-communist arsenal of the EU in order to attack communist ideology and communists in order to promote their rotten and disgusting fascist ideas. We can see this clearly from Holland (Party for Freedom) to France (National Front/Le Pen).From Greece with the Nazi criminal gang of "Golden Dawn" and the recently established National Unity party to Italy with the (Lega Nord), from Finland (True Finns) to Hungary (Jobbik). In any case, it is anti-communism that brings neo-liberals, social-democrats and neo-fascists into governmental coalitions in a common front against the working class, with reactionary policies that are labeled "reforms". We experienced the imperialist intervention of the EU and its allies, the USA and NATO in Ukraine in order to defend the interests of its monopoly groups in conflict with the corresponding ones of Russia. 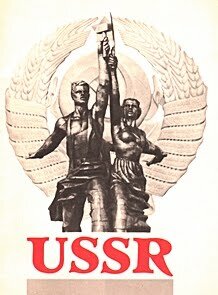 They supported the ascendance via a coup to governmental power of reactionary forces in collaboration with armed fascist gangs, in a form of historical revanchism against the results of World War II, elevating anti-communism into being an official state policy and prettifying the fascist gangs, their criminal ideology and activity, promoting the division of the people of Ukraine. The illusions of the opportunists that there could be another "better EU", "another better partnership agreement between the EU and Ukraine" are dangerous. The EU, like every capitalist inter-state union, is a predatory alliance that has a deeply reactionary character, cannot become people-friendly, always acts against the working class and people's rights. The KKE with its activity in the European Parliament, with protests and marches practically expressed its support and solidarity with the communists of Ukraine, as it does in any case with the communists and CPs of Europe and elsewhere, which face persecution and the onslaught of the bourgeois state. For this reason, it incurred the rage of the reactionary regime of Ukraine, which via Presidential decree imposed sanctions, amongst those imposed on other people, political figures, MPs, journalists, lawyers, on an MEP, an MP and another cadre of the KKE on false and baseless charges.